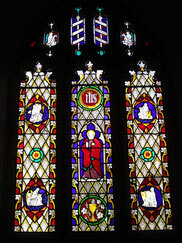 We formed “Friends of Holy Trinity Burrington” 2007, to generate an income from the local parish in order to assist in paying the essential ongoing running costs of Holy Trinity Church (e.g. insurance, lighting, heating). Many residents of the parish, even if not regular attendees of the church, expect it to remain open and functional for special occasions and would be alarmed to see it close. Concerns that the regular income to the church was becoming insufficient to meet regular running costs, which naturally raised fears over the future of the church in the parish, prompted the formation of the Friends. Accordingly, the Friends seek annual donations from members and non-members alike, claiming gift aid on these donations where appropriate. We retain any funds raised in the parish solely for the support of Holy Trinity Church Burrington – they do not go towards the diocese. The Friends have also held a number of very successful fund raising events including a packed out Sunday lunch in the parish hall, serving over 100 guests, and the sale of Christmas cards. Currently the Friends membership stands at about 50. We are always pleased to welcome new interest in membership – please contact Alan Fraser-Smith if you would like further information. Alan urges anyone who has an interest in supporting the Friends to come forward with any donation that they feel they can afford (every little helps! 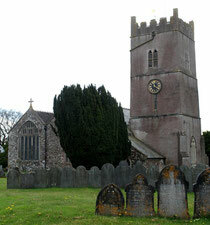 ), so that we can do our bit to help retain a well-maintained and financially viable church for future generations. We hold an AGM usually in late summer and encourage anyone interested in the Friends to contact the committee. You can also find out more on our website.